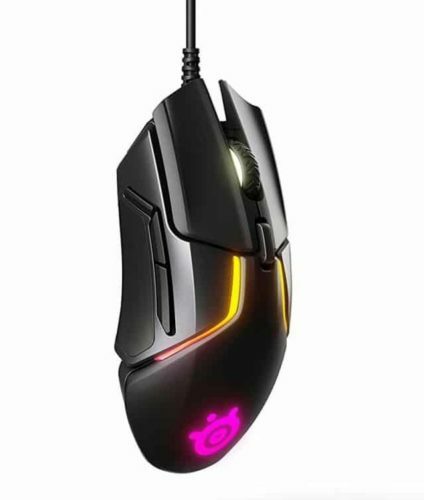 I'd pick the Rival 600 over the G502. 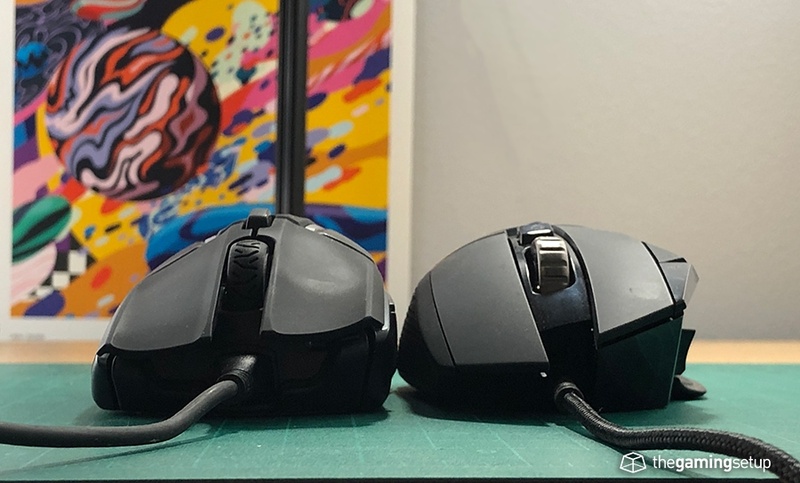 I'd consider both their shape and size a wash, both mice have good ergonomic shapes for large hands. 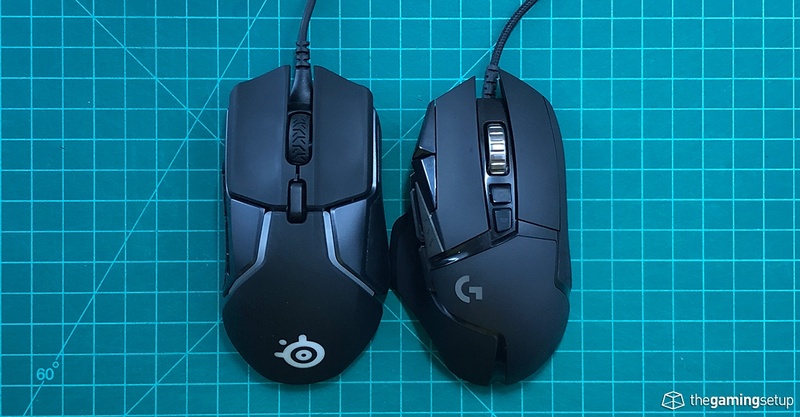 The Rival has a bunch of advantages over the G502, the Rival 600 is much lighter, it has a significantly more flexible cable, and generally better buttons. 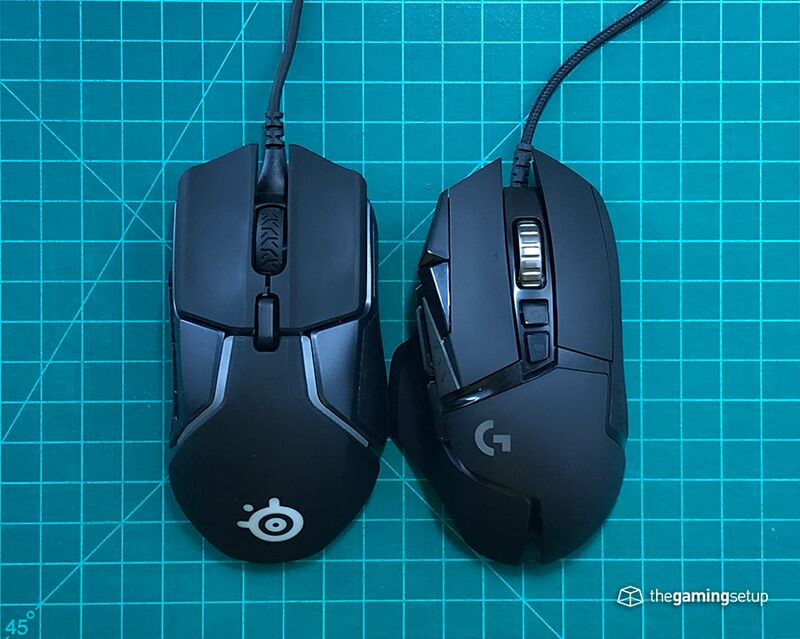 These mice basically serve the exact hand size and type of gamer. In terms of comfort I find them both pretty close.